Will Egypt's Zohr Gas Field Sink Israel's Leviathan? Originally published under the title "Will ENI's Discovery in Egypt Sink Israel's Leviathan?" The discovery of the Italian energy company ENI of a giant gas field off the coast of Egypt has transformed the East Mediterranean energy play overnight. The newly discovered field called Zohr could hold a potential of 30 trillion cubic feet of gas – the largest discovery in the region, thirty percent larger than the Israeli Leviathan field, which held the title until today. Zohr's entry into the scene is a true game changer. It delivers a painful blow to both the Israeli and Cypriot economies, and more specifically to the gas partners, Delek Drilling and Noble Energy, which until now have held the only discoveries in the region: Tamar, Leviathan, Karish, and Tanin in Israel and Aphrodite in Cyprus. The finding will essentially annul the MOUs Israel and Cyprus recently signed with Egypt to supply gas to the domestic Egyptian market. Egypt's Zohr gas field is 30% larger than Israel's Leviathan and easier to develop. It will also kill any near-term hope for Israeli and Cypriot gas to feed the two idle LNG terminals in Egypt, which are craving for gas supply. Much shallower than Leviathan, Zohr would be easier to develop, and ENI, which has been operating in Egypt for decades, is not likely to face any of the regulatory obstacles Noble and Delek have faced in Israel. ENI believes it can begin to develop the field as early as next year whereas the current timing for the development of Leviathan is still unknown. Those two companies are facing a do or die moment, at least when it comes to their East Med operations. Just two weeks ago the Israeli cabinet approved the regulatory scheme to allow the consortium partners to develop Leviathan - more than five years after its discovery. However, the plan needs approval from Israel's Parliament, the Knesset, where even pre-Zohr it faced fierce opposition from many lawmakers on the ground that it does not do enough to ensure low prices and introduce competition. The new discovery is likely to give fodder to the naysayers who will refuse to surrender to Noble and Delek's price demands, reducing the chance of a Knesset approval of the deal. Lack of LNG infrastructure in the region and huge cost of undersea pipeline construction require an alternative delivery system. There seems to be no end to the Via Dolorosa that Delek and Noble have had to endure. 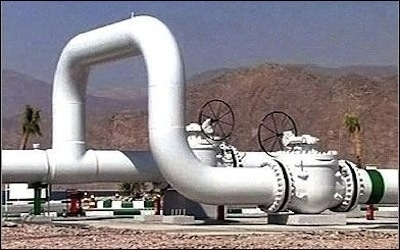 Facing the likely loss of their largest customer – even the Jordanian market is far from secure as Jordan intends to build an LNG terminal in Aqaba and could then absorb Egyptian gas – as well as the inevitable downward pressure on the price of East Med gas, the two companies will have to go back to the drawing board and rethink their entire strategy The only hope for the consortium is to focus on developing those parts of the European market where they could still have competitive advantage: Greece, Cyprus, perhaps Turkey. But the lack of LNG infrastructure in this part of the Mediterranean and the huge cost associated with construction of undersea pipelines require an alternative gas delivery system. This is the time to take a hard look at the option of marine CNG (Compressed Natural Gas), the cheapest, simplest and safest way to transport stranded offshore gas to regional markets within the range of 2,000 kilometers. Unlike LNG, CNG does not require liquefaction of the gas and therefore it avoids the need for costly LNG facilities. There are many other reasons why it makes more sense to squeeze the gas than to freeze it: superior energy balance, no boil off, no need for cryogenic materials and simpler gas reprocessing. More, it enables island countries like Greece and Cyprus that are either too small or too poor to enter the LNG play to switch their electricity sector from costly liquid fuels to low cost natural gas. The technology to deliver gas as CNG already exists and it is certified for maritime transportation by the American Bureau of Shipping. The problem is that to date it has never been implemented in any market. There are many customers who want to be second in line to adopt it, but no one wants to be the first. But desperate times call for desperate measures and the economic distress of the Greek and Cypriot governments coupled with the distress of the consortium members can bring about a revolution in the way natural gas is transported globally. Roughly half the offshore gas of the world is stranded in fields that are too small for LNG development. With CNG this gas can reach its markets, where it can replace oil in both power generation and as transportation fuel. Government foot-dragging in developing Israel's gas sector is proving costly. The discovery of Zohr reaffirms two realities. The first is that the East Mediterranean is the new frontier in oil and gas production and we can expect much more product to come online with further exploration and hence more competition to the incumbents. The second, and this lesson is for Delek, Noble and the Israeli government, is that the energy world is not sitting idly by. The foot-dragging of the Israeli government in developing the gas sector may now cost the consortium members their hegemony in the regional gas market – if not their entire future. Only innovation can be their rescue. Gal Luft is co-director of the Washington-based Institute for the Analysis of Global Security and a fellow at the Middle East Forum.